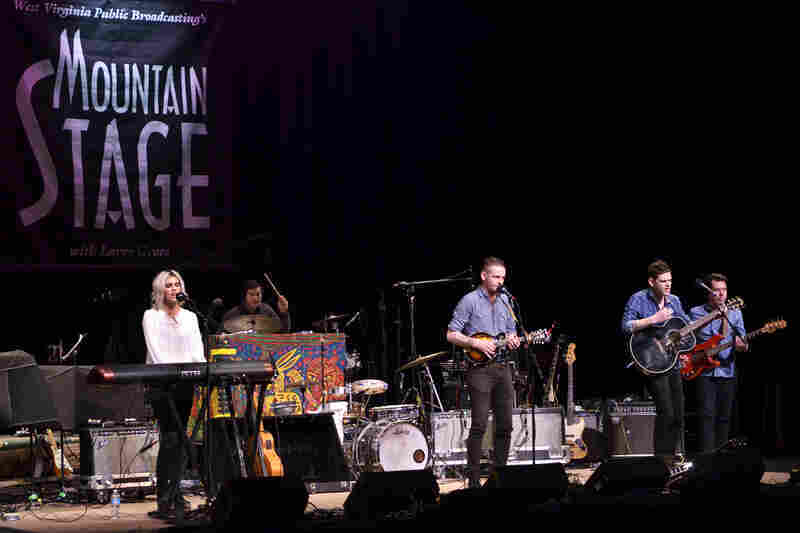 Matrimony On Mountain Stage Matrimony are a true family band, as their name would suggest. 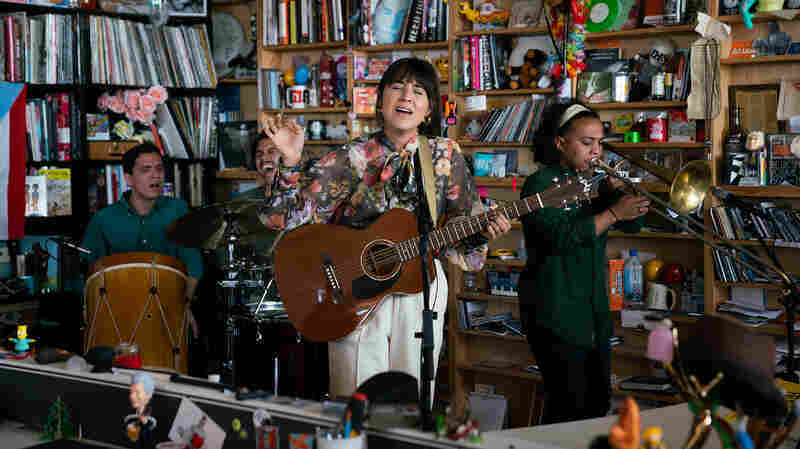 In this performance, they combine their many influences and play songs from their upcoming album Montibello Drive. Ashlee Hardee Brown and her husband Jimmy Brown front Matrimony. Ashlee's brothers, Jordan and CJ (center and right) also play in the band. Jimmy Brown was born in Northern Ireland and arrived in the U.S. via China. 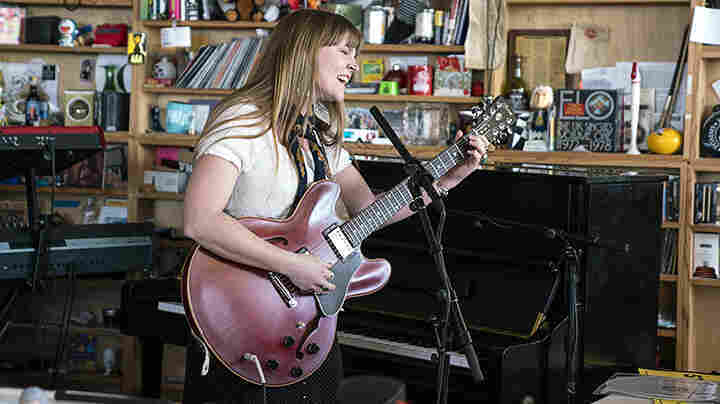 In Charlotte, N.C., Jimmy met Ashlee Hardee, who would become his musical partner and wife. 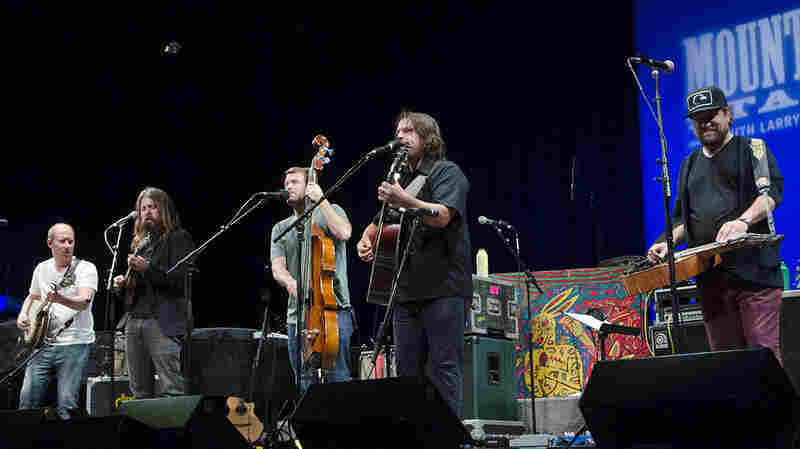 The group blends rock with folk traditions from Ireland and North America. 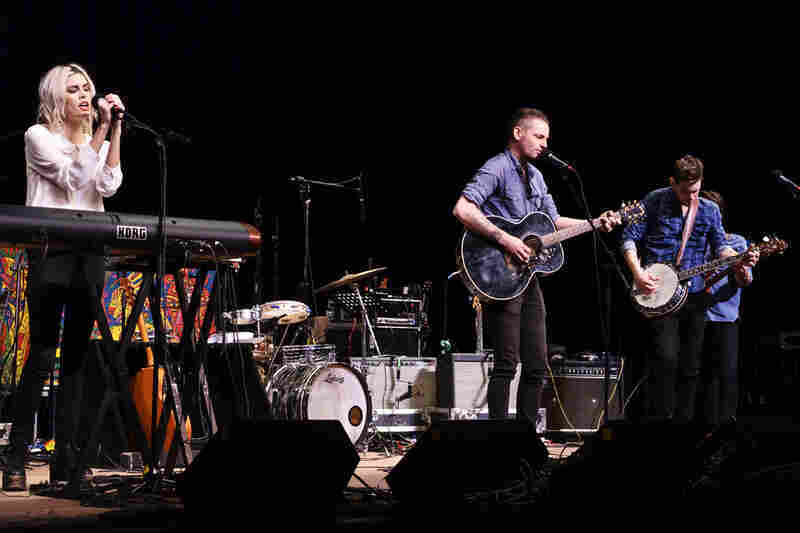 Matrimony make their first appearance on Mountain Stage, recorded live at the Culture Center Theater in Charleston, W.Va.
A true family band, Matrimony is fronted by the husband and wife duo of Jimmy Brown and Ashlee Hardee Brown, along with Ashlee's brothers Jordan Hardee and CJ Hardee. 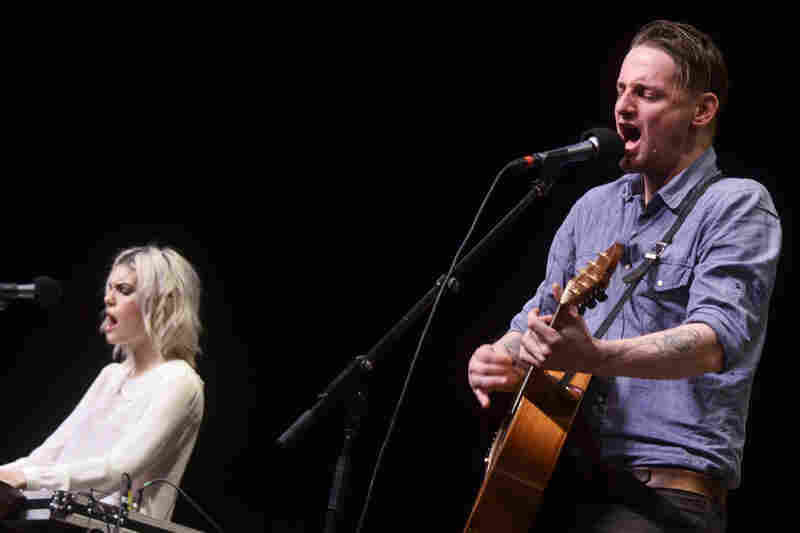 Jimmy Brown was born in Northern Ireland and came to Charlotte, N.C. — where he met his wife and musical partner — via China. 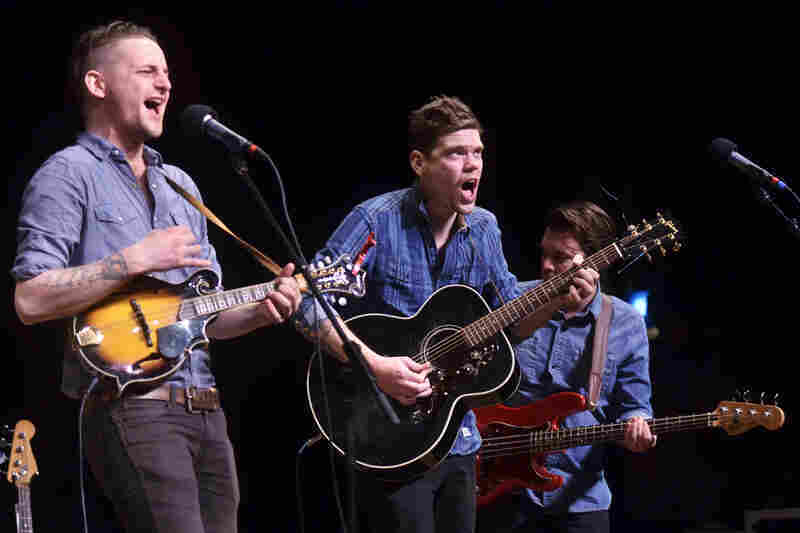 Melding rock, country, gospel and longstanding folk traditions from Ireland and North America, the group released its EP The Storm & The Eye in 2010. The group will release Montibello Memories May 6 and tour the U.S. for the remainder of the month. April 18, 2019  Hear Oh Pep! 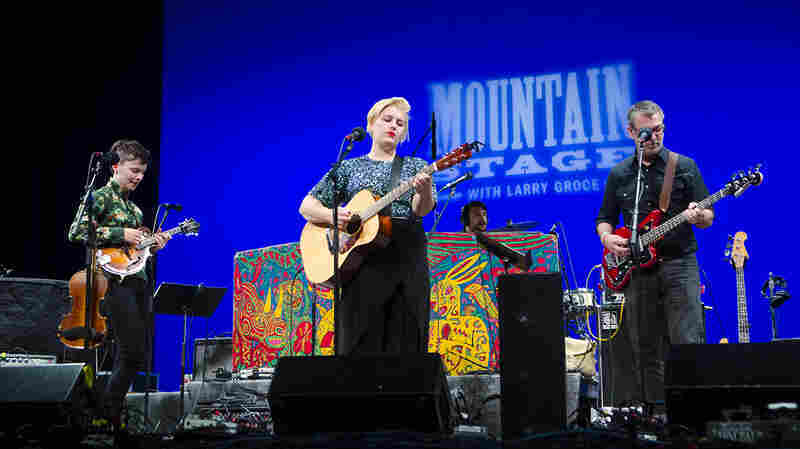 perform songs on Mountain Stage with strong hooks fortifying the musical balance of pop and roots. 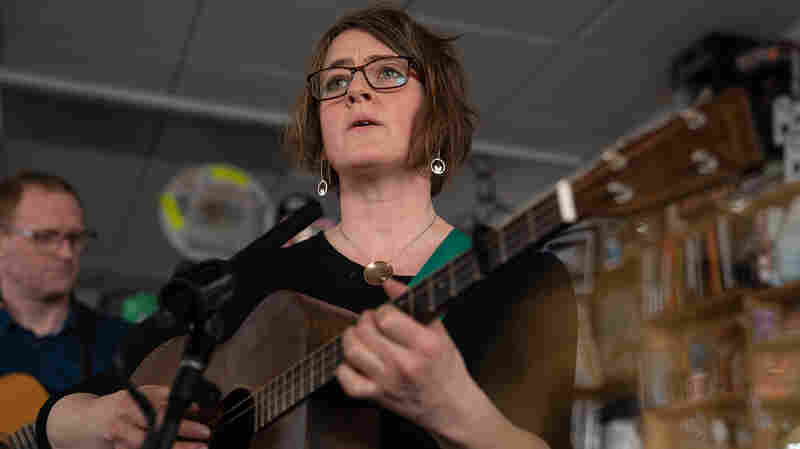 April 4, 2019  Every time Anaïs Mitchell performs on Mountain Stage, she embarks on new creative territory. For Mitchell, her 2007 song "Why We Build the Wall" has taken on a whole new meaning. 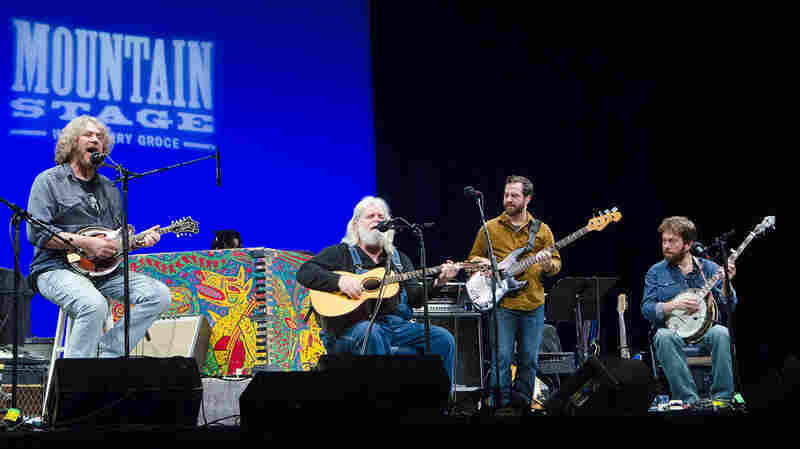 March 28, 2019  The jamgrass originators and Mountain Stage alums played a largely acoustic set of songs from the 2018 album Something Higher. 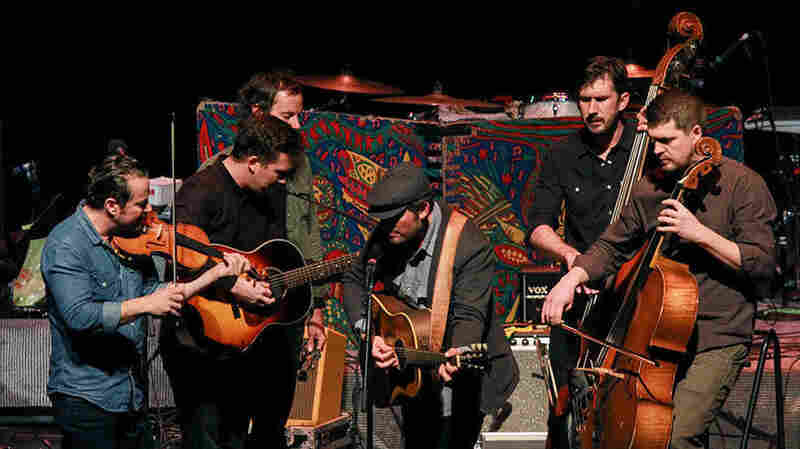 March 21, 2019  With endearing, richly-orchestrated songs from its album All For Money, the Kalamazoo-based quintet Greensky Bluegrass returns for a third appearance on Mountain Stage. March 14, 2019  Farming by day and creating at night is the process that inspired Isakov's latest album, Evening Machines. 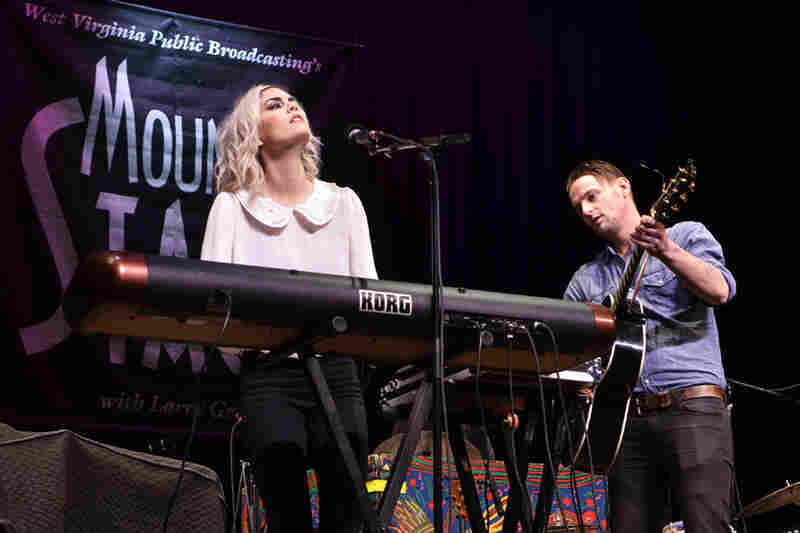 Listen to the live set on Mountain Stage. 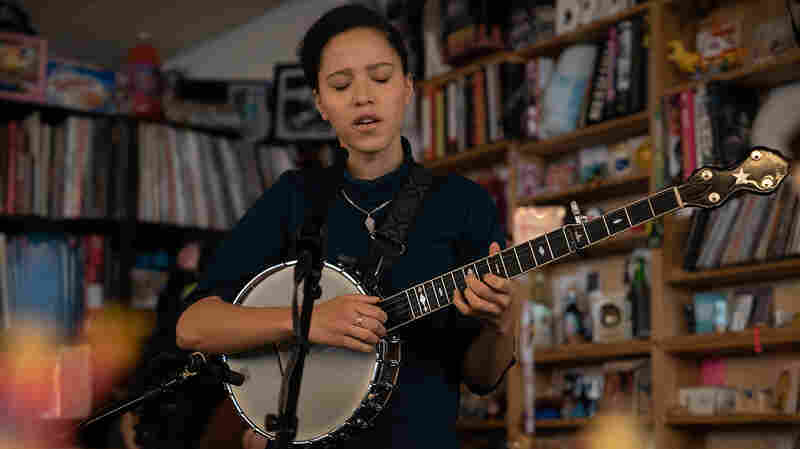 March 13, 2019  Multi-hyphenate artist Kaia Kater uses the architecture of roots music, which she studied in West Virginia, to establish a simultaneous dialogue with both the present moment and her own past. 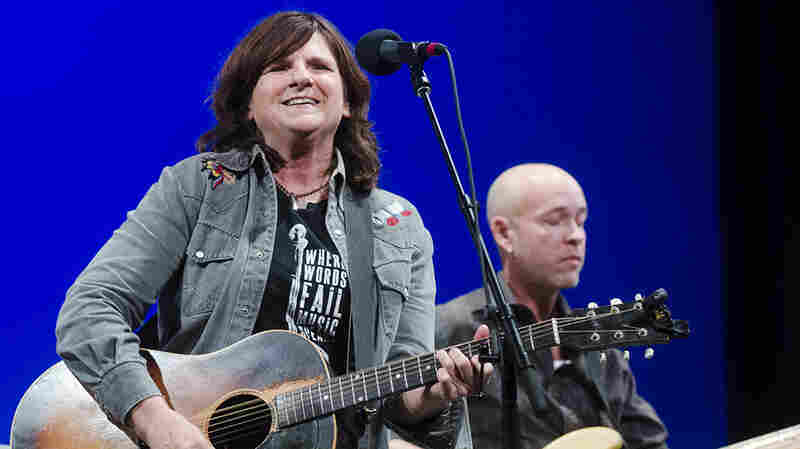 March 7, 2019  One half of Indigo Girls, Amy Ray makes her 10th appearance on Mountain Stage with songs from her latest album, Holler.